If anyone saw my MUA haul you would have seen these beauties. 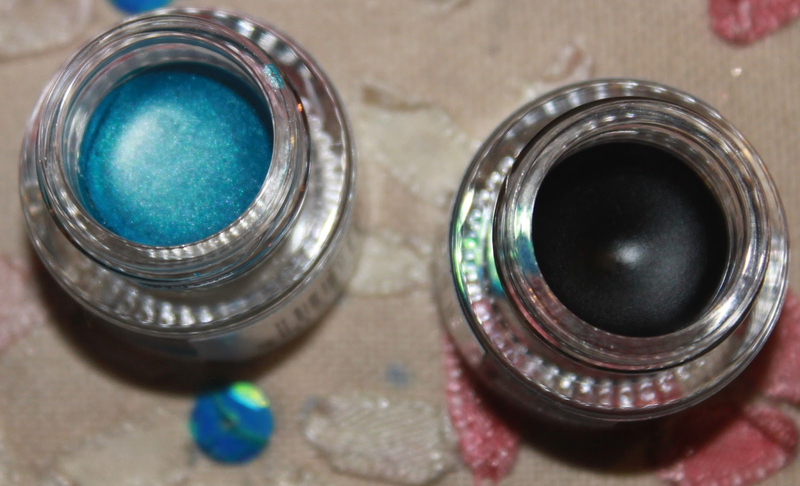 I've never used gel liner before as I love my liquid ones, so I was tempted by these. I chose the MUA gel eyeliner in Tribe and Underground. Tribe is a vibrant teal blue which I love! I adore blue liners and this one looked gorgeous, so I had to get it. Underground is a classic black. For £3 each these are a bargain, and come in 4 shades. Tribe and Underground as shown here, and On The Move which is a brown and Fairground which is a slate gray. 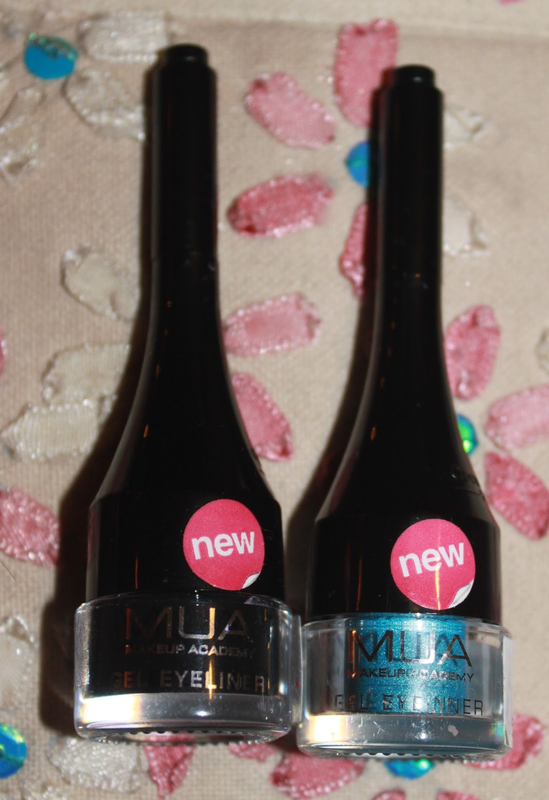 You can grab these online at MUA. What's great as well is this handy brush inside the lid. All you have to do is pull this out, turn it around and pop it on the top of the lid for a longer handle. I'm not too sure about this brush. I couldn't get the straight line I wanted - I think I will stick to my angled brushes for now! However this is a great addition and is great for travel. 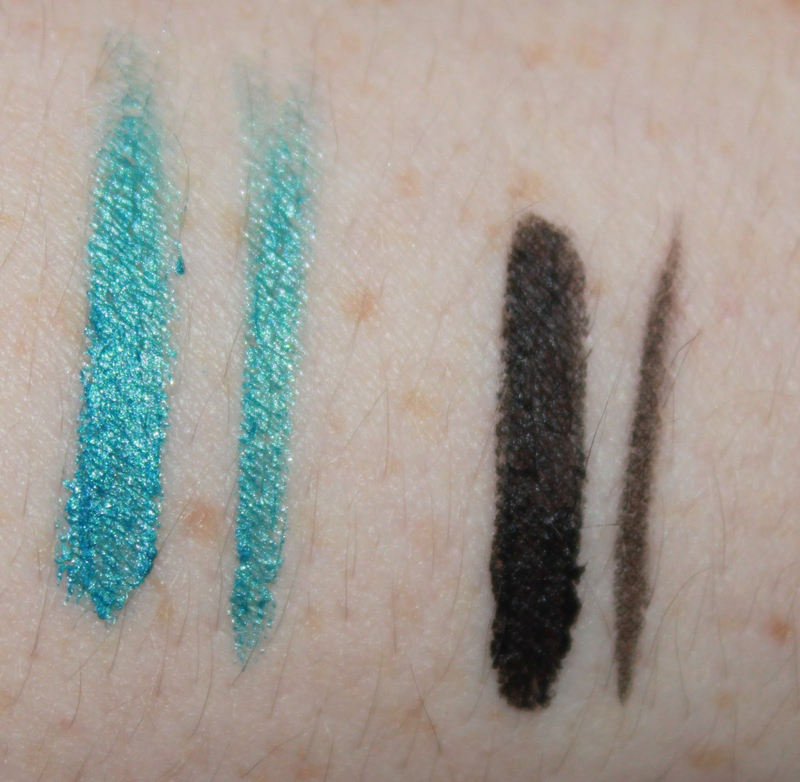 As you can see with the swatches below that the blue has amazing colour pay off. That aside I felt that the black wasn't as black as I'd expected it to be. I felt it was a little sheer and not much of a 'true black', but Tribe was lovely. This was also lovely in the waterline and lasted ages! I wore these all day and neither colour budged. No panda eyes! I'm still disappointed and not sure how often I'd use the black - But Tribe is perfect for me and I can't wait to try more looks with it. So over all one was a hit, and one was a miss. Have you used MUA Gel Eyeliners before? Let me know, I'd love to hear your thoughts! and thank you if you take the time to comment or follow. These look great, the blue is such a pretty colour! Hi those look gorgeous!! 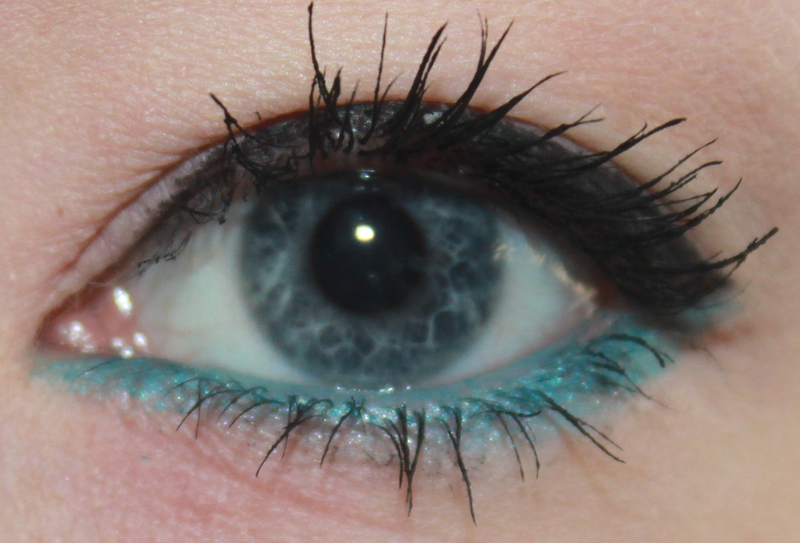 I love eye products (especially the blue colour) like these so i'm going to buy a few next time i get paid. I've never used gel eyeliner but I really want to! I'll be really glad if you check out mine as well.